My favourite order for 2017 has finally arrived! My Colourpop goodies are here!! 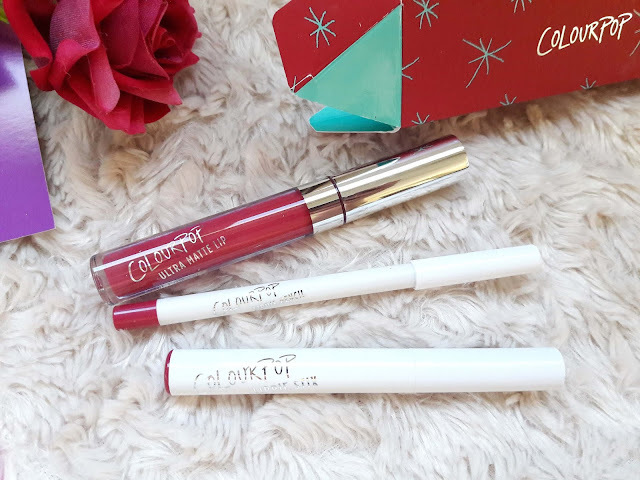 I took advantage the amazing offer of freebies and I also included some liquid lipsticks I've been wanting to try for so long. I also wanted to buy the She palette but it was out of stock when I placed this order, it's a beautiful eyeshadow palette with warm shades and it would be a lovely addition to my makeup collection. 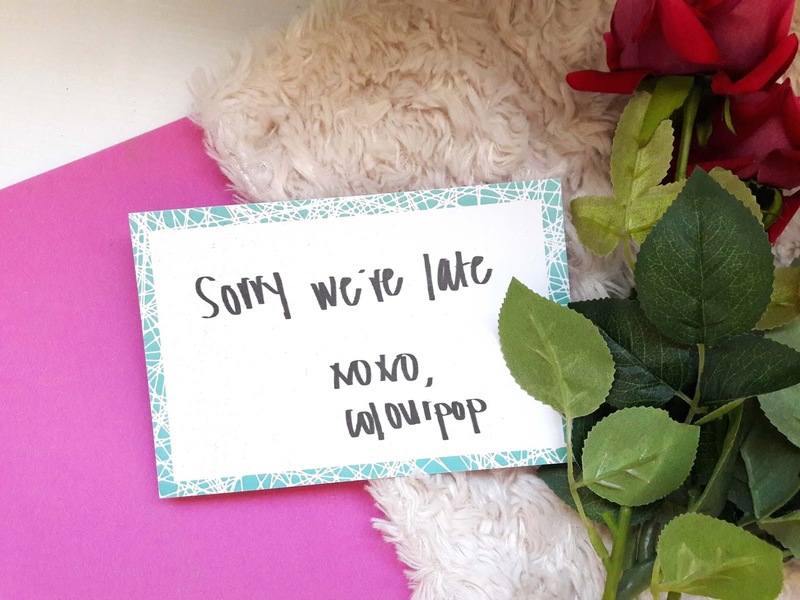 It took a while for the order to be fulfilled, almost 2 weeks to left their grounds which is totally understandable since they were having a 'freebies' offer, so I guess they had like a million orders to prepare. So here are all the goodies I ordered! 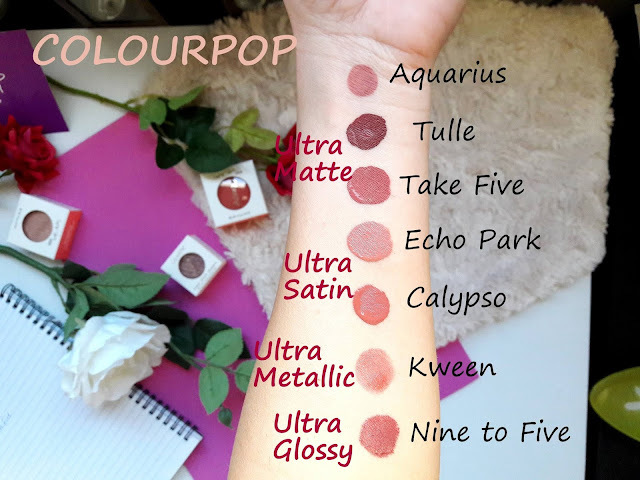 Ultra Satin Lipsticks ($6) - the most comfortable formula I tried so far, it is not that moisturising on the lips but not drying and they have the most amazing shades in their range, it is so difficult to pick just one or two and it took me a few hours to decide which ones to order and compare every single shade. They are creamy with satin finish, feel like velvet on the lips, the feeling is amazing and I am really impressed. 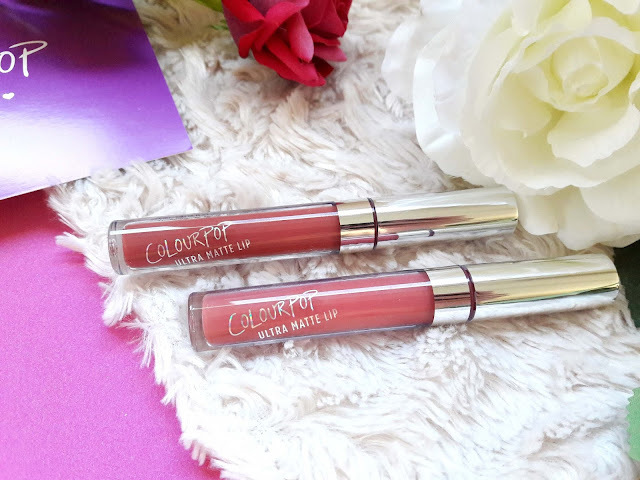 Ultra Matte Lip - super intense pigment for bold looks. 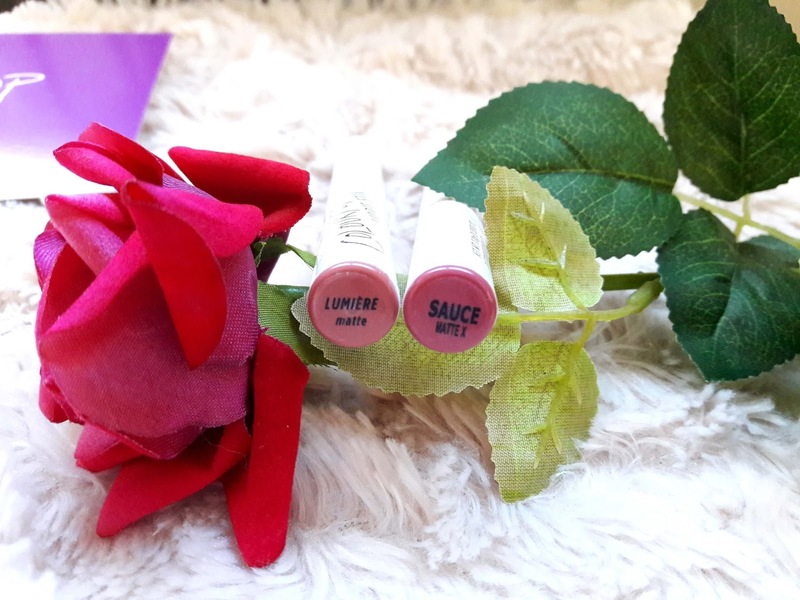 These feel lightweight on the lips but drier, I hate dry formulas and I haven't been using them recently and these are indeed dry, but I made them work by using a lip balm before applying them and they work perfect. 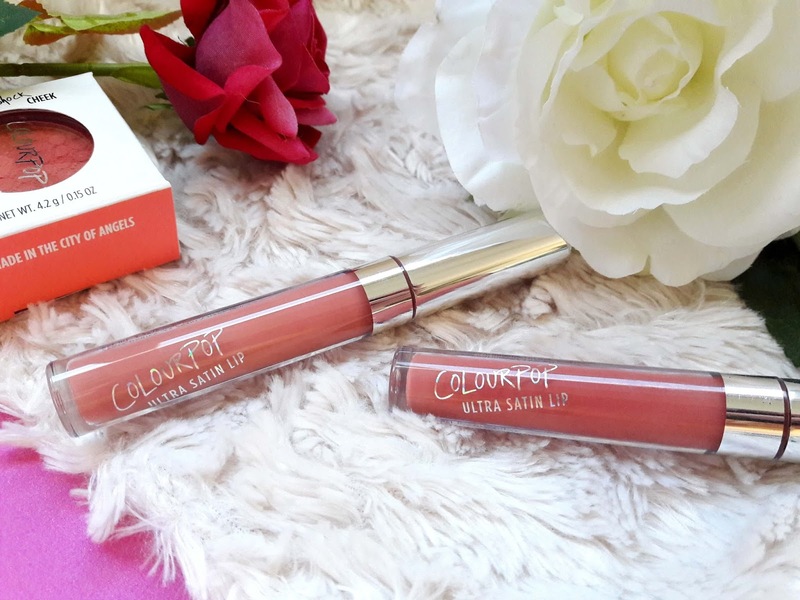 They are extremely long lasting, they survive a drink and a meal and I recently wore Tulle on a night out for drinks and the shade was on my lips all night! Tulle (free) - a dusty mauve burgundy. Looks darker on the lips than in the tube but I love it. 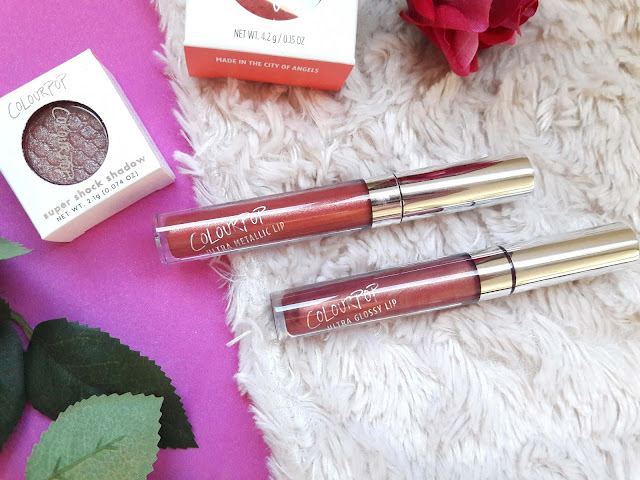 Perfect shade for fall. 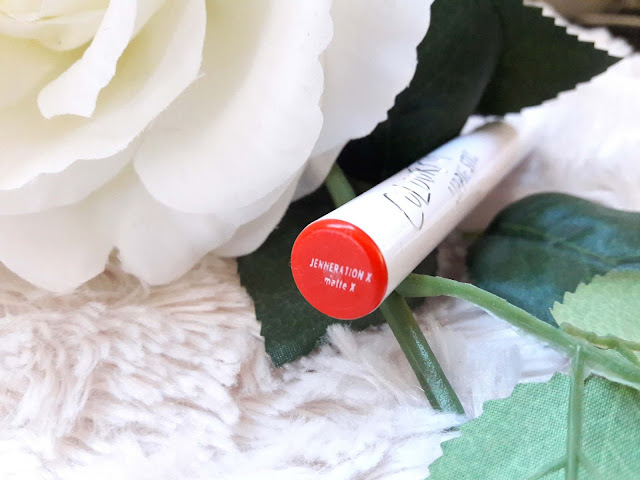 Take Five (free) - a warm rose for every day use, similar to Calypso but slightly darker. Ultra Metallic Lip ($6) - I am crazy for a good metallic shade so I had to include at least one metallic to try. 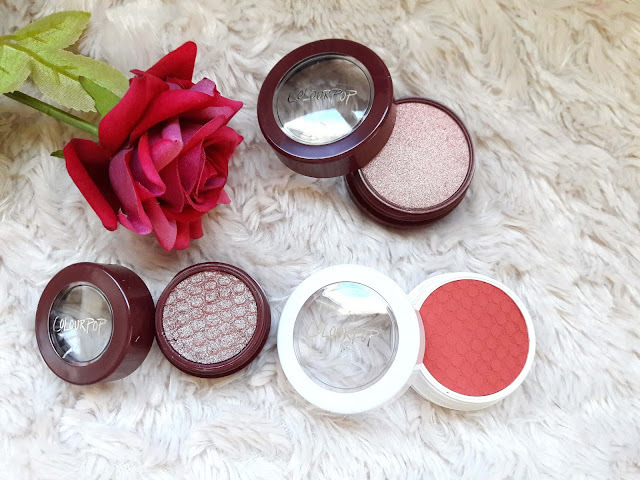 These are less pigmented and you need two or three coats and also, they do not dry to give a complete matte finish like the Matte or Satin lipsticks. Kween - a burnt red shade with gold glitter. 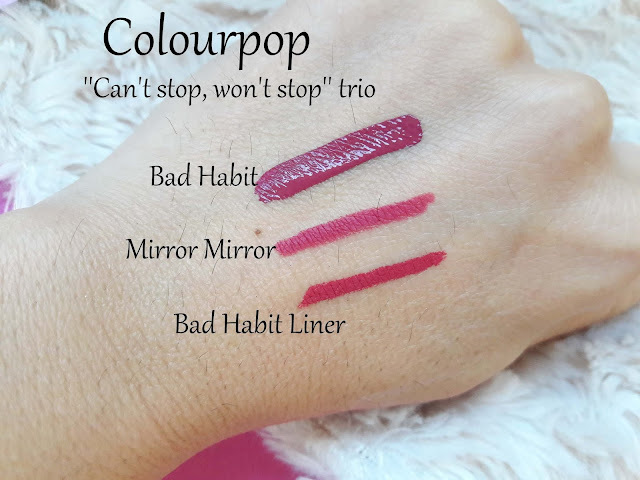 This Trio features the Ultra Matte Lipstick in Bad Habit and also the matching lip liner and also, the most amazing dark fuchsia shade, Mirror Mirror. Bad Habit is such a gorgeous shade, I've worn it so much since I received it and it's the most beautiful dark pink shade that compliments my skin so much. 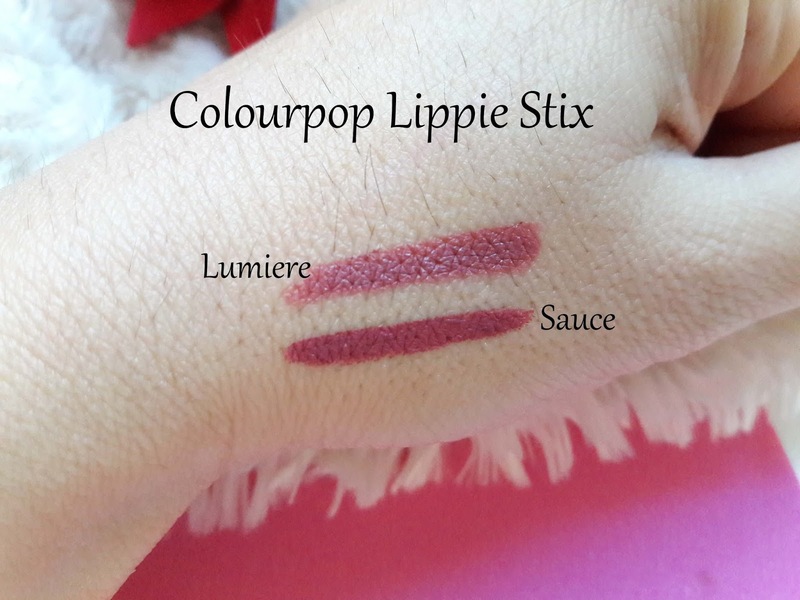 Lumiere ($5) - created by Kathleen Lights, this gorgeous shade is a dusty mauve pink with a matte finish that looks so flattering on the lips. 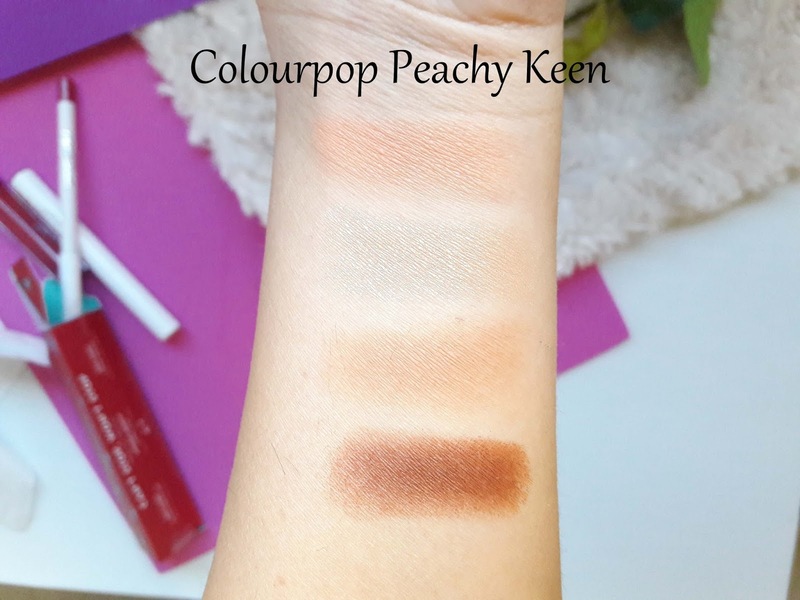 Kathleen wanted to create a shade that would look nice on everyone and I think she succeeded! Sauce ($5) - this is described to be a dusty rose but it is a dark pink shade, a beautiful dark berry shade that I plan to wear a lot in winter. 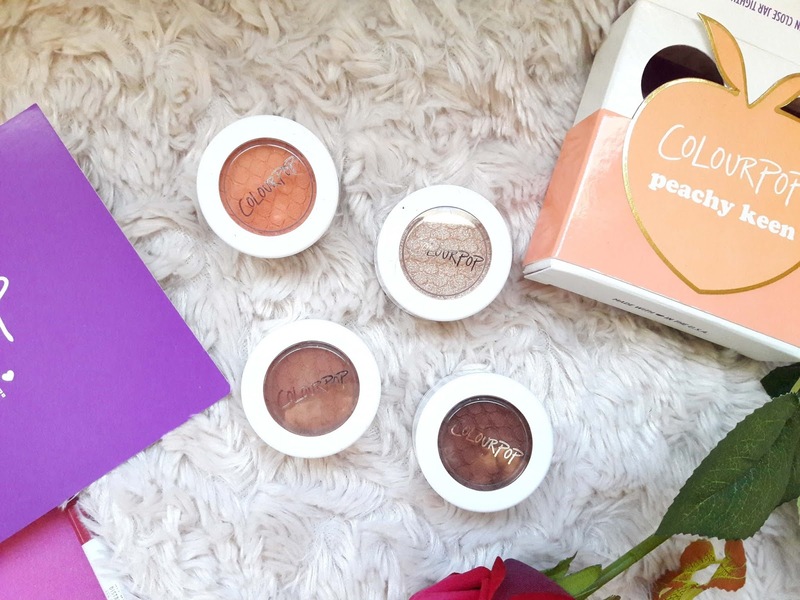 Four beautiful warm eyeshadows: a soft peach shade, a soft metallic gold, a matte light brown shade and a dark reddish brown. I haven't tried this eyeshadows yet but I plan to test them asap and will be back with a detailed review. Pigmentation is good, I expected the light shades to be more intense in comparison with the swatches I saw in other posts prior ordering this but I will create several looks with it and see how it goes. 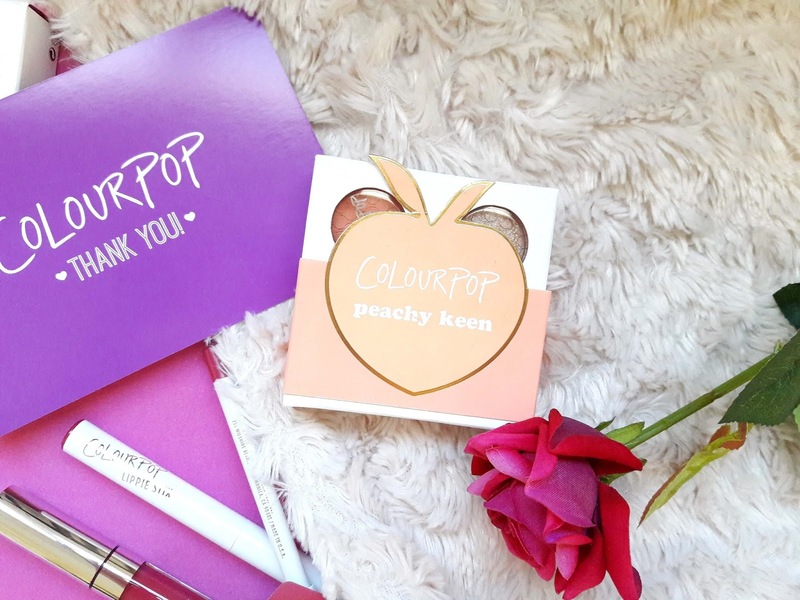 I also received a complimentary shade from Colourpop since my order was late (took about 2 weeks to leave the warehouse), and they were kind enough to sent me this lovely shade and a thank you note. 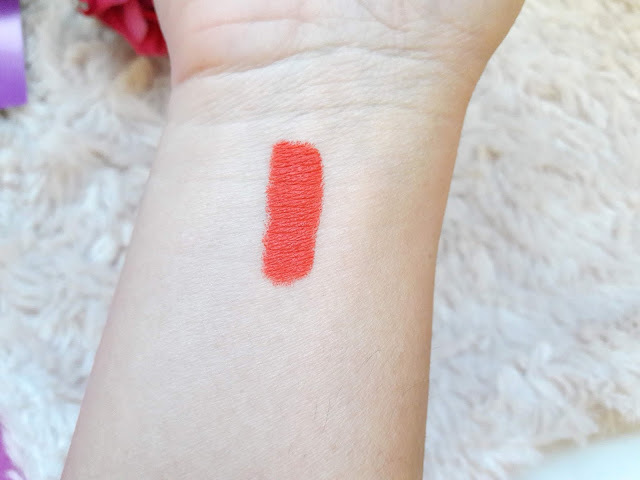 It's a pretty orange red shade that I plan to wear in spring and summer, I think it's too bright to wear now and definitely a summer shade. As you can see, I took advantage of the offer and I received many free products. Will definitely order some more soon and probably when they will have free international shipping. 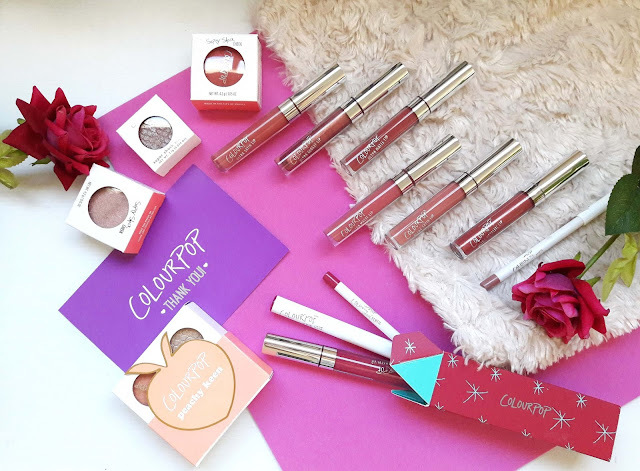 What did you buy recently from Colourpop?